If you haven’t seen the movie “Gosnell,” it is required viewing for Americans like me who avoided the abortion issue because I lacked the moral courage to really think about it and form my own opinion. The movie works very hard to avoid smothering an important philosophical question with scenes of gore. In fact, it depicts real and nuanced questions that go well beyond our abortion debate that seems stuck in impasse. 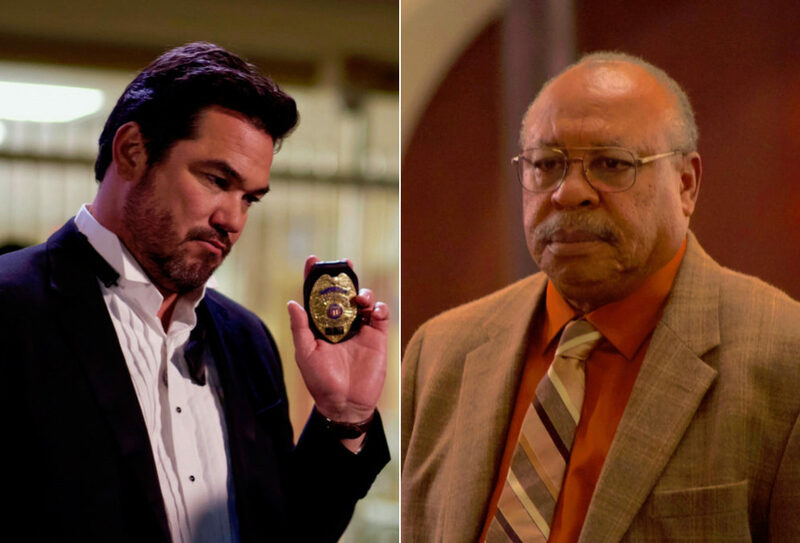 “Gosnell” is not about an abortion doctor committing “murder” by aborting fetuses––the movie is about a doctor killing delivered babies who breathe, move, and sometimes even cry before abortionist Kermit Gosnell used a pair of scissors to “snip” their spinal cord. Be outraged and shocked by that. But hold your outrage long enough to confront how Gosnell defends his actions, because that’s the real crux of the issue. Gosnell had assistants prepare his patients by inducing labor. Sometimes he would arrive too late to complete the abortion before the fetus became a living, breathing, crying baby. The government charged him with murder because he nevertheless “completed” his procedures on such babies. You might now be tempted to stop reading this as you retreat into a pre-formed position on abortion. Don’t. This is the moral no-man’s land that hasn’t been rationally discussed since the political screaming started in the early 1970s, during the oral arguments for Roe v. Wade. At the end of Gosnell’s procedure, he considers it a success if the woman is no longer pregnant and there is no baby. Is it really murder outside the womb, but legal when a doctor completes the procedure inside? Tell yourself what you need to hear, Gosnell might say. He assumes correctly that most of us lack the moral courage to hold him accountable. Inside the womb, the procedure is legal so long as the fetus has not advanced to an arbitrary stage of development. So who decides if a fetus is too advanced to abort? “I do,” Gosnell responded. Is that the right answer? Should an individual doctor be drawing the critical line between legal abortion and murder? Is this moral question better settled in the Supreme Court? Surely it’s not up to non-doctors and non-judges to intervene on the question of if and when the termination of a pregnancy crosses the line from helping a woman with an unwanted pregnancy into murder. After seeing Gosnell sneer at the line, I see the urgency of public participation in the question. If it is left up to the advocates for unfettered abortion rights, would there be any line at all? Recently, we’ve heard people speaking out against political violence with assurance that the ballot box is the proper place to resolve our great conflicts in the United States. Yet the Roe v. Wade decision seems to have permanently excluded abortion from the normal political process in which moral judgments can be debated, tested, and evolved according to the state of medical science and public morality. This is, in part, why the Kavanaugh confirmation process was so ugly. Impulses to influence the debate manifest in such detestable ways in the absence of a democratic process. Are we satisfied with the outcome when judges establish an immutable moral distinction between abortion and murder? If you answered “Yes,” I ask that you watch the movie to listen to how Gosnell drew that line. What Counts as Murder In Our Legal System? Civilization has wrestled with the question of defining murder since the beginning. Is physician-assisted suicide murder? Is it murder to withhold care at a nursing home? When can murder be excused based on insanity or mental incompetence, as we have termed it? What about self-defense? What about failing to warn or assist another who is in danger? The nuances of the exceptions and exclusions to murder laws are resolved in the legislatures of our 50 states by elected representatives after taking input from scientists, doctors, clergy, and stakeholders within the community. Unfortunately, “Gosnell” shattered my sheltered agnosticism over abortion. When the sounds of crying baby can be heard in an abortion clinic, I am forced to admit that abortion stalks the edges of the definition of murder. Where will the line between abortion and murder be drawn if we leave it to bumper stickers and profit-seeking doctors like Gosnell to draw that line? We employ representative democracy to pass the laws that define what is murder, and we have an urgent responsibility to participate in the same process to define what is not. O’Connor further noted that improvements in the safety of later-term abortions, combined with advancements in the care of premature babies, have “blurred” the bright moral line originally set forth in Roe. The moral question of abortion, she wrote, requires that the state “continuously and conscientiously study contemporary medical and scientific literature in order” to maintain the balance between the woman’s interests in choice and the state’s interest in protecting life. The biggest problem with the abortion debate is that it stopped being a debate a long time ago. If abortion is to be legal in any form, Americans must know that the line separating abortion from murder is in the right place and is being vigorously policed. As O’Connor pointed out, a 46-year-old decision by now-dead justices is the wrong way to draw a line that should have evolved with the state of science and public morality. So again, who decides if a fetus is too advanced to abort? A nurse in Gosnell’s clinic reported feeling a newborn tug on her finger before the doctor “completed” the procedure. We can and should agree that abortionists should not be making that distinction, and that there has to be a line. No matter how zealous an advocate for reproductive rights you might be, you have to agree on a line. The line needs to be established according to the best science and moral judgments as expressed by the great engine of compromise of our democracy. It’s time to set aside Roe and return the question to the moral accountability of the democratic process. Abortion rights advocates should refrain from refusing to acknowledge or accommodate any discussion or update to this line, because Gosnell proved one thing beyond refutation: at some point it’s not abortion, it’s murder.